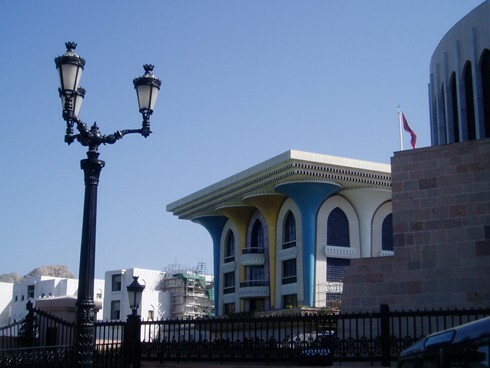 You will usually arrive at Seeb International Airport and on your drive into Muscat you will see neatly-manicured grass verges and an array of beautifully coloured flowers. 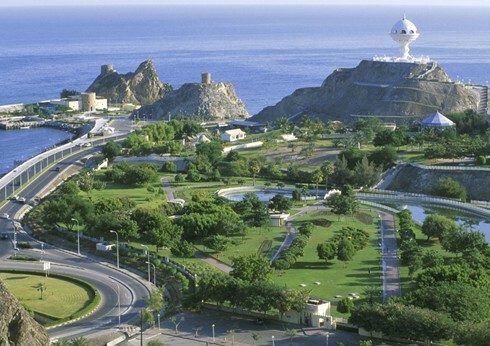 Muscat is a modern, clean city and has many varied hotels and restaurants to suit all tastes and pockets! We provide all our customers with a list of our favourite restaurants and eating places. We will arrange for private transfers to your chosen hotel, or you can pick up a saloon car or 4×4 from our Omani logistics partner at the airport. We usually suggest that you include a highly informative and friendly half-day city tour with Majid, our local Omani guide. Majid also has a taxi and is very happy to drive you around if you have anything specific you want to see or do. 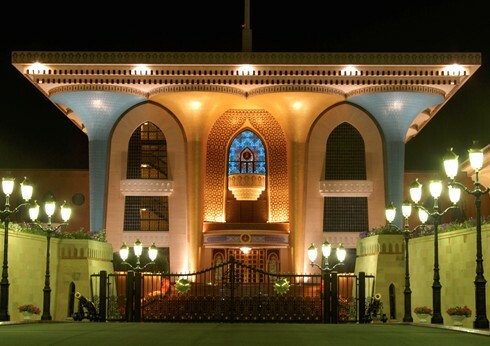 Your leisure time in the Capital Area of Muscat can be as gentle or hectic as you want. You may wish to visit the Bait Al Zubair Museum to give you an introduction to Oman’s heritage and culture. It is always interesting to explore the old town of Muscat with its Royal Palace and three surrounding watchtowers. You can walk along the Corniche with the traditional Muttrah souq at the harbour’s edge and the Bait Al Baranda Museum. The Armed Forces Museum in Ruwi is another fascinating place to take in. Here you will find 2/3 floors of excellent exhibits explaining the different eras in the history of Oman. There are two places not to miss; the Sultan Qaboos Grand Mosque which is stunning and open to western visitors in the morning until 11.00 (except Fridays) and the Royal Opera House which has guided tours between 8.00 and 10.30. The coast to the north east of Muscat is rugged and beautiful, and the Al Bustan Hotel, the Shangri La Barr al Jissah Resort and the Sifawy Boutique Hotel are situated along this coastline. Boat trips are available from many locations which afford a fabulous view of the beaches and cliffs from the sea. The Chedi Hotel is situated closer to the airport in beautifully tranquil gardens and is a perfect place for relaxation. The food at the Chedi is legendary, so make sure you leave time for one of their breakfasts!